Coaching is a powerful process to support people to create positive change – which takes thoughts, feelings, and actions working together. Through this journey you’ll learn to apply International Coach Federation (ICF) Core Competencies for the essentials of coaching; a transformational emotional intelligence framework to make coaching highly effective; plus practical tools to provide metrics for growth.We’ve researched the key ingredients coaches need to launch their practice. 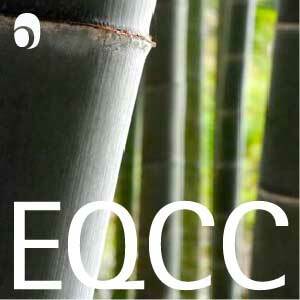 Where many programs introduce coaching skills, EQCC prepares and supports you to be an effective coach. Where other programs teach the basics, EQCC equips you to build your practice as a highly effective coach with a robust toolset. After completing CCF, continue to the EQ Core Certification, CCI and CCS to complete the EQ Coach Certification and earn the ICF ACC, MCC or PCC Coach accreditation. After completing the EQ Coach Certification you will be prepared to develop an effective practice as business or personal coach with expertise in the ICF Competencies, powerful EQ tools, and a structure to make coaching into a transformational process. One key differentiator of this program is the deep integration of emotional intelligence as a toolset for your clients, and even more, for the development of self as coach so you are more aware, present, and purposeful in this work. Self-as-coach: Develop your EQ skills and coaching presence. Structured Transformational Coaching: Learn a framework to fuel positive change. Coaching Process, Tools and Techniques: Develop expertise in the ICF Competencies and EQ resources. In total, the EQ Coach Certification includes over 200 instructional hours via twelve days of hands-on training filled with laughter and learning, plus indepth eLearning and virtual online training. Increase awareness and skill to be the best possible coach. Align your awareness, presence and purpose as the foundation for effective coaching. Build a coaching program that measurably improves performance. Apply coaching competencies, procedures, and tools to support clients to grow. Build your coaching practice in an effective way. And you’ll feel inspired and empowered as a coaching change maker, and connected to a community of EQ coaches and practitioners. Registration includes the pre and post-course learning, in-person training, 1 mentor coaching session, materials, EQ Profiler account with credits for 10 practice profiles, participant binder, plus lunches and break service.